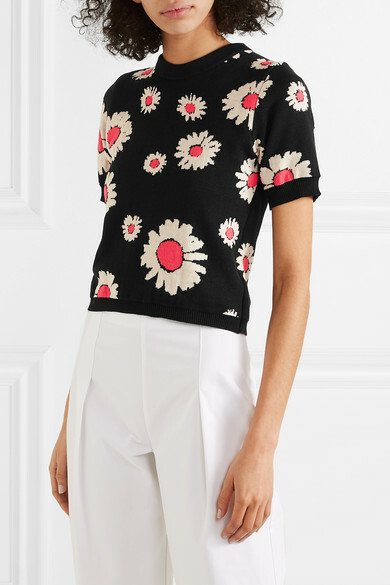 Molly Goddard's pretty daisy motif decorates everything in her Spring '19 collection, from dresses to this 'Sammy' sweater. 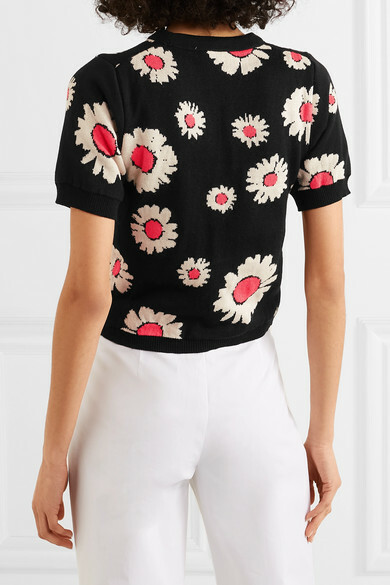 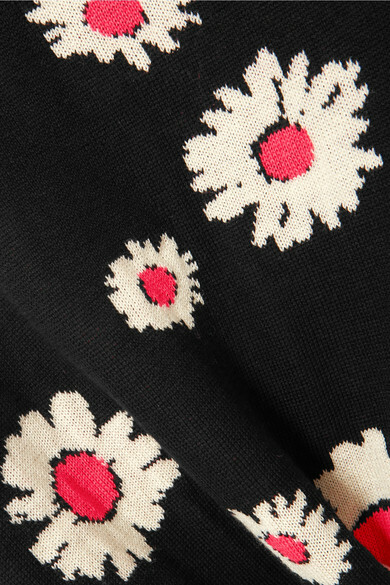 Worn on the runway, it's intarsia-knitted with the blooms in white and pink and has a cropped hem. 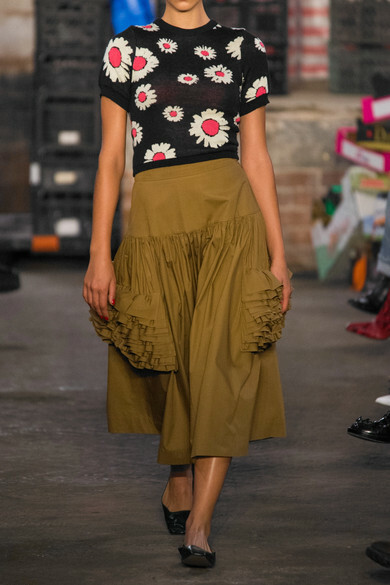 Take your styling cues from the show and team it with a ruffled skirt. 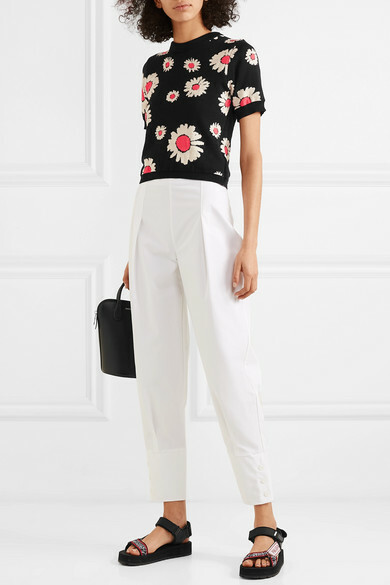 Shown here with: Molly Goddard Pants, CALVIN KLEIN 205W39NYC Shoulder bag, Prada Sandals.